Yesterday, while watching Chasing Ice on the big screen, I got a phone call from Horst's mobile. Not the satellite phone, but his own. 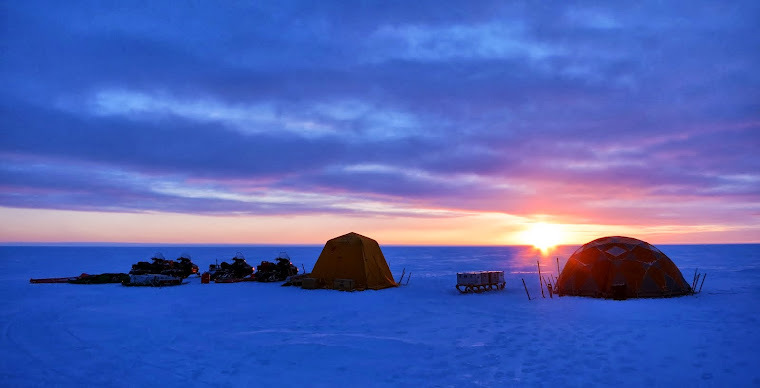 As this meant that the field party was near a cell tower of which there are none on the ice sheet, I could not resist the urge to pick up in the cinema. Apparently they got a ride down one day before the scheduled departure, flying with well-known scientist Koni Steffen. Horst's message was: "Where are our clean clothes?! I'm heading into the shower!" Welcome back team! Enjoy your well deserved shower(s). I was just as surprised when I saw a text message from Mike yesterday from his own device! :) I'm glad they're back safe, sound and warm!